Franklin & Marshall College would not be what it is today without the loyalty and generosity of our alumni, parents and friends. Contributions to the College directly support our mission of excellence in liberal arts education by providing the resources necessary to sustain the entire life of the College, from the recruitment of talented students and exceptional faculty, to world-class research opportunities, scholarship initiatives, students' personal and professional development programming, the beautification of our historic campus, and more. We are eternally grateful for your dedication and support. To learn more, contact Director of Campaign Relations and Stewardship Cathy Roman '77 at (717) 358-4197 or cathy.roman@fandm.edu. The Founders Society recognizes donors whose gifts to the College total $1,000,000 or more. Established in 1997, The Founders Society honors Benjamin Franklin as the first contributor to the College; his gift of £200 remains in the endowment today. Our most generous donors follow in Franklin’s footsteps and are inducted annually into the society. The College is deeply grateful to these donors for their unparalleled support for Franklin & Marshall College. View our listing of current Founders Society members. The Tow'r and Bell Society recognizes the generous donors whose cumulative giving to Franklin & Marshall College totals $500,000 to $999,999. We are pleased to recognize their outstanding support with this society, established in 2017. The phrase "tow'r and bell" is found in the second verse of the Franklin & Marshall alma mater, written more than 100 years ago, and is a fitting name for this group of exceptional supporters. View our listing of current Tow'r and Bell Society members. Members of The John Marshall Society have provided significant support to all areas of the College, including endowment, capital projects and the Franklin & Marshall Fund. The College is fortunate to have a growing number of alumni and friends who have made lifetime gifts totaling $100,000 or more. Their exemplary generosity is deeply appreciated. View our listing of current John Marshall Society members. The William A. Schnader Society honors and celebrates the individuals who have demonstrated a special commitment to Franklin & Marshall College through gift planning. This includes bequests via will, charitable trusts, charitable gift annuities and retirement plan beneficiary designations. These gifts ensure that the generous legacy of our alumni and friends lives on for generations. The College is forever grateful to those who demonstrate such lasting support. View our current Schnader Society members. The Benjamin Franklin Society celebrates the strong annual support of Franklin & Marshall’s alumni, parents and friends. Beginning with a gift of $1,787, commemorating the College’s founding year, these supporters' leadership role advances the College. Just as Benjamin Franklin's gift of £200 was critical to the College's history, the gifts of Benjamin Franklin Society members are critical in shaping Franklin & Marshall's future. For more information on membership to the Benjamin Franklin Society, head here. View our current Benjamin Franklin Society members. The 1787 Society at Franklin & Marshall College celebrates the importance of sustained commitment to F&M by recognizing the generosity of our loyal alumni who have given to the College in consecutive years. 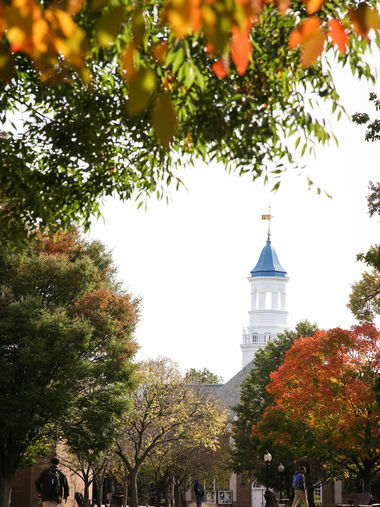 Loyal donors make possible the work of Franklin & Marshall College by providing the resources necessary to advance its mission of excellence in liberal arts education. We are deeply grateful for the dedication of our 1787 Society members. Alumni who have made gifts to the College in two or more consecutive years are eligible for membership. To sustain your membership, simply continue to make annual gifts to Franklin & Marshall College.